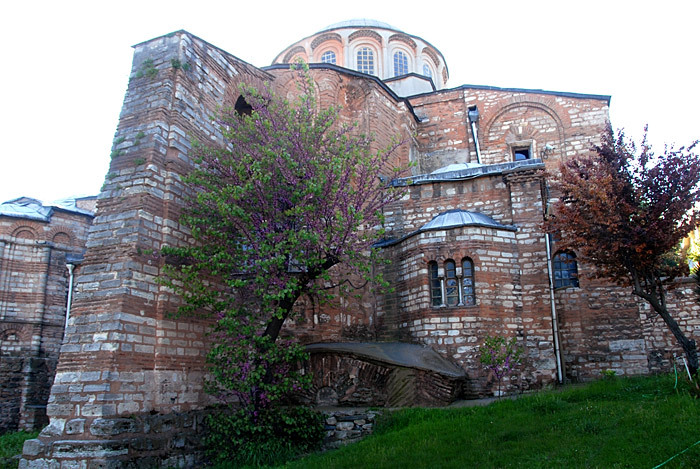 And now, since I was relatively nearby, a seven lira cab ride away, I decided to go see Chora - The Church of St Saviour in Chora (Kariye Müzesi, Kariye Camii, or Kariye Kilisesi — the Chora Museum, Mosque or Church). It is a museum now and offically know as Kariye Müzesi. This is a view from the back of the building.